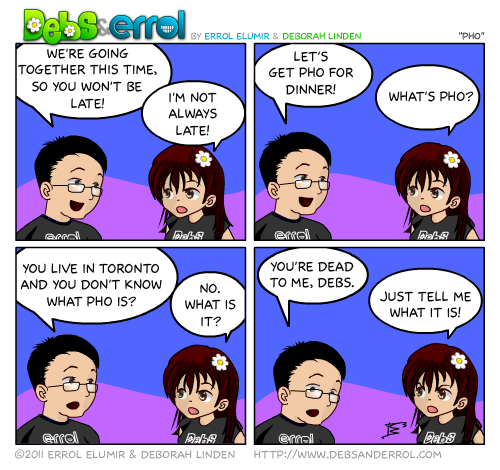 Errol: How could she not know what pho is? Sad, sad day. Debs: Well you haven’t finished BSG!